Have you found an online vendor selling Wright & Brown Distilling Barrel-aged rum? Enjoyed two glasses of Wright & Brown barrel aged rum while in San Francisco. Very nice and high end bottle and label design. Golden color. Strong oak and vanilla to your nose and palate. Surprisingly strong burn at the end being such a dry rum. I really enjoy this local (for me) rum from Oakland, California. Smells and tastes of charred oak, molasses, caramel, and vanilla. Has a nice flavor going down, with a slightly dryer aftertaste. 45% ABV. Double-pot distilled. Re-charred French oak. N: Delicate. Caramel, oak, vanilla. Some pot-still excitement. Nothing crazy. P: Bigger. Nice and dry. Very woody. Dry and astringent finish. This is some fine rum. 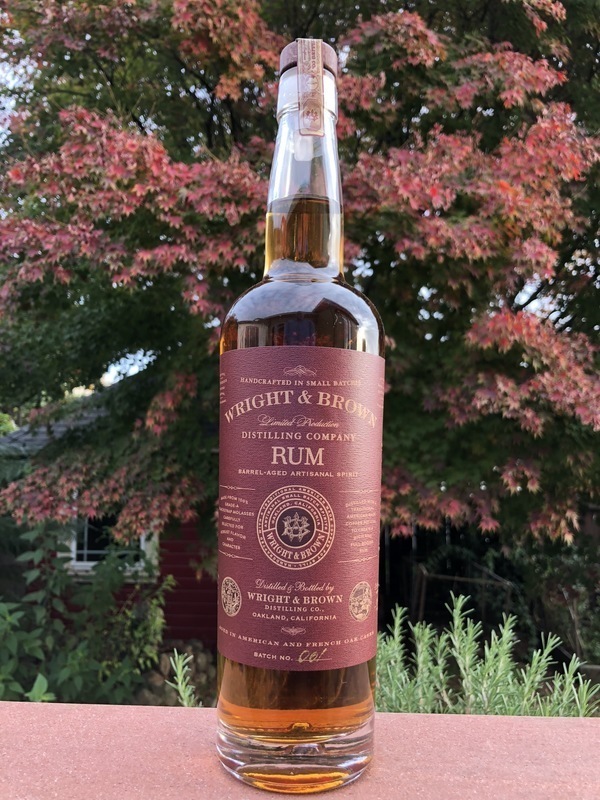 Wright & Brown succeed in making a GOOD rum rather than just ticking a box (though at the time of this review the rum is still nowhere to be found on their website... hmm...). They have taken the typical American-crafters-who-care approach of aging for a rather short time in first-use barrels, and then charging too much for it. Fortunately, it does taste very good—it just won't be mistaken for anything long-aged in the tropics. They are off to a great start. Deploy this in spirit-forward drinks like an Old Fashioned, or sip neat. There are a few rums that straddle the line between straight up sippers and strictly for mixing. This rum sits right on the line. Bottled at 90 proof, this rum brings heat, spice and a nice warm burn. Despite the overwhelming scent of molasses, it is refreshingly dry on the palette. This is a first release of approximately 500 bottles, aged two years in American and French oak casks. Made from non-GMO molasses, pot-stilled and no added color or flavorings. It's a keeper.